By the time the late season for white-tailed deer arrives, Mother Nature has already begun to spread her frozen blanket across much of Canada. 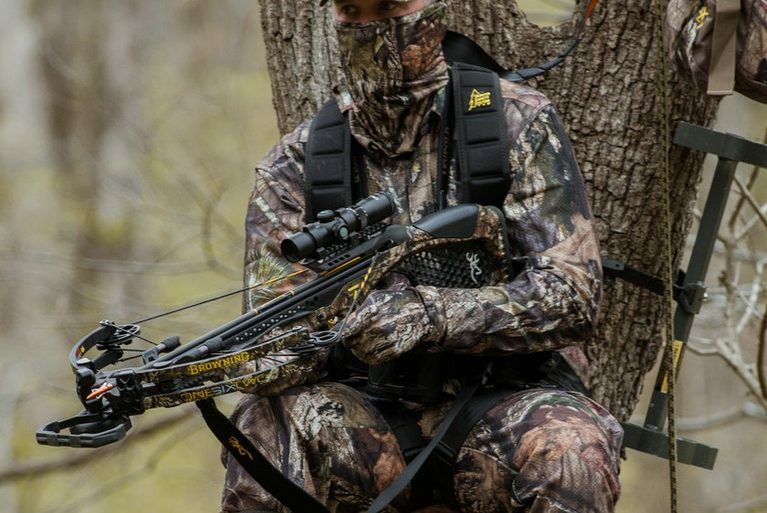 It’s an exciting time for bowhunters, with the pressure on to fill their tags. It can also be tough going, however, as the temperatures continue to drop. That’s just one of the reasons I hunt from a ground blind at this time of year, aiming to close a tag on a whopper whitetail. While a treestand can work well in the early season, nothing beats a ground blind in the frosty late season. Where I hunt in Saskatchewan, for example, temperatures can drop to -40ºC by the end of the season. Hunting out of a ground blind simply helps me spend more time afield, minus the numb feet and fingers. Once the temperature falls to -20ºC, I also use a little heater or wrap myself in a blanket to take the edge off. 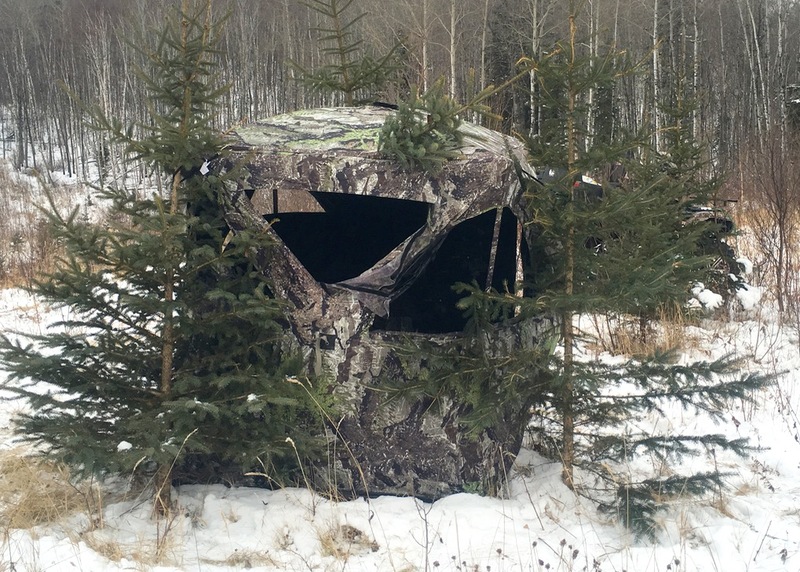 In those kinds of frigid conditions, no hunter would last long in a treestand, but in a ground blind, sitting for the duration isn’t a big deal. 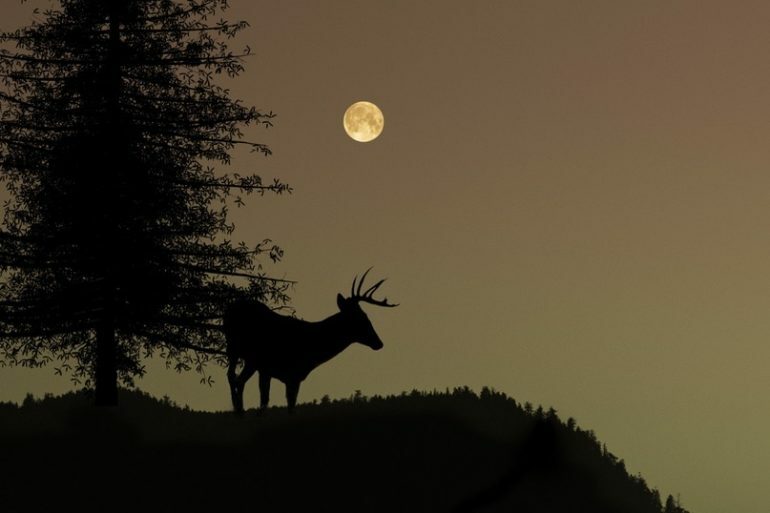 And if you want to harvest the biggest bucks, the more time you spend afield, the better your chances. It’s surprising how many times I’ve set up a ground blind in a brand new area and just hours later watched deer cruise by well within bow range. Ground blinds are great for hiding your movements, especially when you’re grabbing your bow and getting ready to draw. They work so well, in fact, I’ve had deer, bears and elk pass by so closely I could have reached out and touched them. The key is to cover the blind with foliage to make it blend in with the surroundings and to break up its silhouette—a blind will look out of place otherwise if it’s just plopped out in the open. Use the likes of evergreen or willow boughs if you’re hunting in the woods, or cattails if you’re near a slough. Place the foliage on all sides of the blind, as well as around the top, for optimal concealment. 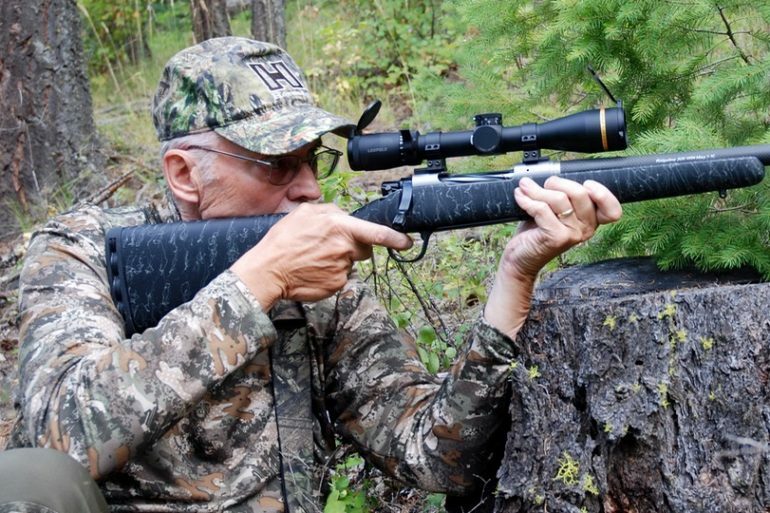 As deer patterns change later in the season, ground blinds have the added advantage of allowing you stay mobile. When the rut winds down, for example, bucks will head for key food sources to regain their strength, so you can simply pick up and move with them. The food sources will vary depending on the time of year and your region, but in my zone, which is entirely agricultural, I look for unharvested grain fields and set up along the edge of the adjacent bush line. I’ve found that large bucks spend more huntable daylight hours where there are such food sources. In the perfect situation, set up along the deer’s route between its bedding area and food supply. Being at the ready in your blind with an arrow nocked when a big buck comes down the trail with a full belly and his guard down can make your season one to remember. Not only do ground blinds conceal your movement, they can also help keep your scent to a minimum. Even still, I try my best to set up downwind of where I expect to see deer. In my area, the late-season winds seem to come from any direction, so I always place blinds in different locations. I may be a blind addict—I own 16, and usually set up 10 to 12 in various places so I can continue hunting if the wind changes direction. I then keep the extras on hand in case I find a stellar new spot. Considering I took my biggest typical whitetail just 13 metres downwind of one of my ground blinds, it’s an addiction I’m certainly not looking to cure. If you’re planning to hunt during the late season, always practise drawing your bow beforehand while wearing your cold-weather clothing. Why? All those layers can change your anchor point and throw off your shot placement, and you certainly don’t want to miss a deer at 20 metres simply because you didn’t take your clothing into account. 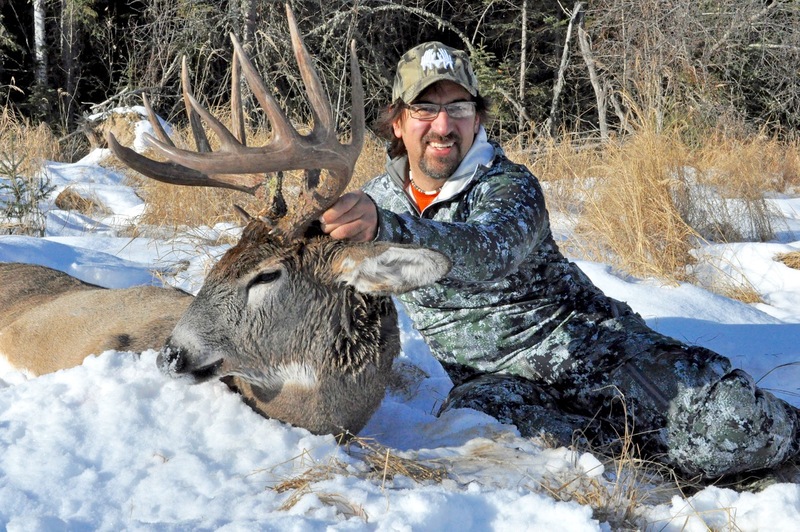 Contributor Jeff Schlachter has taken many record-book trophies with his bow. Nationally awarded outdoor writer from Saskatchewan. Host of Drop-Tine's Outdoor Addictions.